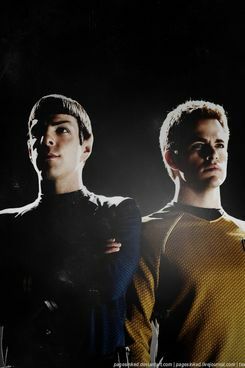 Attention impatient sequelphiles: Vulture can confirm that J.J. Abrams has finally committed to shooting Star Trek 2. Insiders familiar with the director’s plans tell Vulture that pre-production is underway, that the script will be done by month’s end and that Abrams will start shooting this winter. While many assumed he would make the follow-up to his 2009 hit, he would never give a date for the project, or actually say for sure that he would be the one directing. 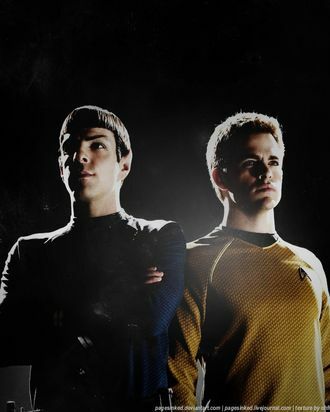 In July, reports elsewhere surfaced that Abrams was “moving towards a commitment” to direct the sequel (which, of course, is Internet for “hasn’t committed yet”) but his delay had pushed a nervous Paramount Pictures to give Trek 2’s late June 2012 release date to a G.I. Joe sequel. Part of the hold-up has been that Alex Kurtzman, who wrote Abrams’ first Trek with Roberto “Bob” Orci, has been busy editing and posting Welcome to People, his directing debut at DreamWorks Pictures. We’re told that now that Kurtzman is finished with those duties, he is back in his office and the team is ready to work. Plug in the Starbucks I.V., lads! These new life-forms and new civilizations aren’t going to seek out themselves!